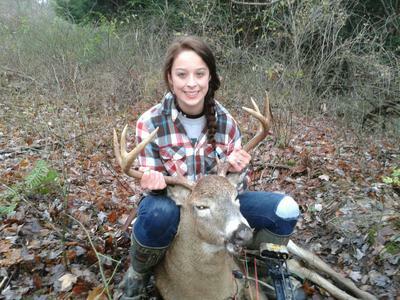 This buck was shot in Ilion NY by Alyssa Maine . It was shot with a bear home wrecker. This 8 point was 190 lbs field dressed. It scored 121 inches. 19.5 inch inside spread.